Jurgis Kreilis, who was profiled in a segment of the Drone Dish, brings us this masterpiece of a video shot in his native Latvia in the depths of winter. In his word, "to appreciate the beauty of the winter you don't necessarily need colorful sunrise, sunset or bright sunlight through the day. Winter can be insistent, surly and moody." Prepare to be amazed by the winter aerial views of this magnificent Baltic land with its fog-covered snow. Description: To appreciate the beauty of the winter you don't necessarily need colorful sunrise, sunset or bright sunlight through the day. Winter can be insistent, surly and moody. Clouds can hung, barely move and once bright sky can turn grey The sun gives up on the effort to shine through the thick layer of clouds. Air gets thick and snow falls out of the sky irregularly onto the ground, while freezing temperatures "burn" the air. 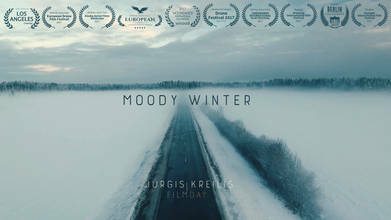 We went out and created this aerial drone film to demonstrate the different winter of Latvia.